Before founding Green Visor Capital, Simon had over 20 years of financial services industry experience, including nearly 15 years at Citigroup Global Markets, where he held increasingly senior roles in Tokyo and Hong Kong, his last being Managing Director & Co Head of Financial Institutions Group Asia Pacific. During his tenure at Citi, Simon advised on numerous landmark equity, restructuring, leveraged finance and M&A transactions, including the $20.5 billion IPO of AIA Group Ltd., the largest ever equity offering completed on the HK Stock Exchange. In total he has helped to raise $50 billion of public equity for financial institutions globally and was named the sole recipient of the Promising Young Banker Award (i.e., the Best Banker Under the Age of 40) in Japan by The Asian Banker in 2008. In addition to his experience at Citi, Simon is the former CFO of Kabbage Inc., a FinTech startup. Simon received his MBA from Cornell University and BA from Kenyon College. Prior to joining Green Visor Capital as a General Partner, Joe was the Chairman and CEO of Visa Inc., one of the world’s largest, most recognizable and valuable brands. He is credited with transforming Visa into one of the most preeminent organizations by strengthening Visa’s position as the leading global payments technology company. Even though much of Joe’s tenure as head of Visa overlapped with the Global Financial Crisis, Visa still successfully completed its initial public offering in 2008, which was then the largest in the history of the United States. Furthermore, under Joe, Visa consistently exceeded analysts’ expectations for each earnings period. The financial community praised the resilience of the company’s business model, diverse product set, and senior leadership’s ongoing commitment to expense management. Joe’s benchmark as a leader is reflected in Visa’s stock price performance, which was up more than 250% during his time as CEO and Chairman. Rich Marin has over 37 years of experience as a finance industry executive and long-time financial entrepreneur. Rich serves as a General Partner of Green Visor. After 23 years with Bankers Trust, ending his tenure as a member of the Management Committee and Vice Chairman of BT Alex Brown, Rich became Chairman and CEO of Deutsche Asset Management, then the 4th largest asset manager in the U.S. Rich went on to be a founder and partner of Beehive Ventures, an early stage venture firm focused on financial services and new media that has generated a 4X net return to date with more being currently harvested. Rich went on to be Chairman and CEO of Bear Stearns Asset Management, a role which included being responsible for all of Bear Stearns’ venture capital funds and a position as head of the investment committee of 4 venture capital funds with combined asset of approximately $1.5 billion. He was Chairman and CEO of a $3 billion distressed real estate operation, successfully restructuring 22 major projects with over $2 billion in debt. He started and ran Ironwood Global LLC, a distressed mortgage hedge fund. Rich now serves as President and CEO of The New York Wheel, LLC and is a Clinical Professor of Finance at Cornell’s Johnson Graduate School of a Management, where he teaches and writes about alternative investment management. Rich received his BA and MBA from Cornell University. Prior to joining Green Visor, Lou was Senior Managing Director of Cerberus Capital Management, L.P. (“Cerberus”). Based in Tokyo from 1998 until 2010, Lou built and led Cerberus’s Japan office and was the senior ranking executive in Asia. From 2010 until April of 2014, Lou led Cerberus’s activities in Asia from New York, serving as Chairman of Cerberus Asia Pacific Advisors Ltd. and Senior Managing Director of Cerberus Capital Management. Prior to Cerberus, Lou served in senior roles at Angelo Gordon and Co., L.P. and the LeFrak Organization, Inc. Lou began his career at Goldman Sachs & Co. after graduating with his J.D. from Harvard University. Lou earned M.A. and B.A. degrees from the Johns Hopkins University, where he now serves as Vice Chairman of the Board of Trustees. Lou is also a board member of the Japan Society. Michael Walsh has over 13 years of financial services industry experience, including 10 years of institutional investing experience.  Prior to joining Green Visor Capital, Michael was a partner and founding member of Lusman Capital Management, a hedge fund that was capitalized with approximately $400 million. His investment experience extends across assets classes (equity, distressed debt, derivatives, convertibles, private investments), industries (financial services, energy, mining, industrials, telecom, healthcare), and geographies (US, Canada, Australia, Europe, Latin American, Asia, Africa.) Michael also spent three years at Citigroup in the Investment Banking Division where he helped raised billions of dollars in equity and debt transactions for financial institutions (banking, insurance, asset management) as well as assisting in M&A advisory work. Michael received his BA in Economics from Harvard College. As a Venture Partner, Sam will help the Green Visor team assess emerging technologies, work as an adviser to portfolio companies, and mentor young engineers within the group. Before joining Green Visor, Sam was a founding team member and senior engineer of Square, the revolutionary mobile commerce platform and point-of-sale system for small merchants and individuals. Among his many achievements at Square, Sam was responsible for creating the software algorithm that enables the card reading capabilities of all Square devices on iOS and Android phones and tablets. Sam’s efforts helped lead to 7 issued patents and one patent pending. Prior to Square, Sam worked for Boeing as a munitions systems engineer. Sam holds a BS in Electrical Engineering and Computer Engineering from Washington University in St. Louis and is a member of the Founder’s 50. Jim McKelvey is a serial entrepreneur, investor, public speaker, and glass blower. Jim is the founder of Mira Digital Publishing, Third Degree Glass Factory, Square, Inc., and LaunchCode, among many others. Jim graduated from Washington University in Saint Louis with dual degrees in Computer Science and Economics. Ted is the founder and CEO of Cloudstitch, the revolutionary web development platform powered by your office suite. He has a PhD from the MIT Computer Science and Artificial Intelligence Laboratory, where he focused on web systems architecture and machine learning. Ted's publication record includes two books on web application architecture, research papers spanning several fields, and two machine learning patents for Google. Prior to MIT, Ted worked at BBN Technologies doing research and development in distributed information processing. AuditFile is the first cloud based auditing solution for CPA firms. AuditFile automates the audit process, from uploading the trial balance to generating financial statements and identifying potential fraud. AuditFile allows auditors to do more work in less time. clearserve is a next generation, cloud-based wealth management platform that serves family offices and the alternative investments industry. Founded by executives from Gerston Lehrman Group, Yahoo, and HedgeServ; they are built by the industry for the industry and combine robust technology with intuitive design. Cloud Lending is an open lending technology platform. The Cloud Lending platform is an agile, cloud-based solution, designed to empower lending & leasing businesses to simplify business processes, stay compliant and be future ready. Built on Salesforce.com, Cloud Lending helps customers to achieve this faster while keeping the total cost of ownership and time to market drastically low. CreditShop is an affordable, online lender for emergency and everyday needs. Interest rates are socially responsible and conform to the federally mandated threshold of 36% — a rate that consumer advocates consider essential to keep borrowers out of the debt trap. While not everyone will qualify, responsible consumers pay much less with this simple-interest, installment loan. The only — and avoidable — fee to a consumer is for a tardy payment. A proprietary, next-generation underwriting platform goes well beyond traditional credit risk assessment. An agile on-boarding process and novel ability to underwrite risk delivers a fair, hassle-free deal to consumers. Even consumers who find themselves in a repayment predicament will have realistic alternatives to get back on track. The consumer engagement model is about respect and providing a way back to safety. Equal access to equitable credit products is a win-win for everybody, and not based on the size of a paycheck. CrowdStreet is a crowdfunding marketplace that connects accredited investors with institutional-quality real estate investments. With its cloud-based fundraising and investor relationship management platform, CrowdStreet offers real estate operators, funds and private equity companies an online vehicle to raise capital and manage relationships with new and existing investors more efficiently and cost effectively. CrowdStreet was founded in 2013 by a team with deep experience in commercial real estate, finance, consumer Internet and software development and is based in Portland, Oregon. DataFox helps sales and marketing teams prospect smarter and have thoughtful, personalized conversations at exactly the right time. Datafox uses machine learning to identify new prospects and actionable sales triggers from thousands of data sources, helping reps open doors to new business and elevate their customer conversations. FiscalNote is a technology company that engineers beautifully-designed products to analyze open data using natural language processing and machine learning. Hypori is an enterprise software company out of Austin, TX that is passionate about mobility. Founded in 2011, Hypori's goal is to enable secure mobility without sacrificing end user privacy or usability. The company's user-centric Virtual Mobile Infrastructure platform addresses mobility and compliance requirements, especially for regulated industries including healthcare, financial services, public sector and payments. Hypori’s secure virtual platform is activated by a single touch from any mobile device and provides the rich mobile experience users expect while keeping all enterprise data and applications completely off the user’s device. Kash is the new way to pay and avoid credit card fees that are driving local merchants out of business. Kash allows merchants and customers to directly exchange money with transaction rates as low as 0.5%. Madrone is a cloud based decision analytics and content management platform for the asset management industry. The software as a service makes it easy for institutions to leverage public and private data to maximize portfolio and business intelligence. The platform's data capture and automated risk decision engine makes the capital allocation process efficient, merit-based, and aligned. North Capital Investment Technology is a platform for connecting online private securities platforms with traditional marketplaces. NCIT was founded by Wall Street veterans with broad experience in alternative asset markets, Reg D offerings and wholesale distribution of financial products. Simpl is a 1-click payment solution for the cash-dominated e-commerce market in India. Employing intelligent algorithms and user centric design, Simpl helps merchants increase shopping cart conversions (especially on mobile), reduce cash payments, while making checkout process effortless for customers. Thinknum is an open web platform to value companies. Thinknum aggregates data from across the web and provides sophisticated analytical tools for users to create and share financial models. The founders are Princeton alumni and former employees of Goldman Sachs. TwoTap is a platform that allows anyone to purchase whatever product they want from over 400 retailers while never leaving their current application. For the first time ever consumers can order multiple products from multiple retailers in just two taps. WeFunder is a crowd investing platform for startups. Since graduating from Y Combinator in 2013, Wefunder has raised equity for 13 startups with over $2 million from accredited investors. Upon the full adoption of the JOBS Act, which the co founders of the company helped write, Wefunder will enable millions of Main Street investors access to the next generation of America’s most exciting start ups, which previously were only accessible to the privileged few. Wealthminder helps average Americans achieve their long-term financial goals by enabling them to successfully work with a financial advisor at reasonable prices. Wealthminder lowers the cost of customer acquisition for the advisor by enabling consumers to easily find, select and hire them online. It also provides a cloud-based SaaS to assist advisors with more quickly creating plans, delivering advice and tracking client follow-through. OneChronos is launching a next generation financial exchange (ATS) for US equities trading. Outdated market mechanics and increasing costs make it hard to bring buyers and sellers together. We're building the world's most sophisticated exchange to revolutionize the efficiency of the trading process. Cloudstitch enables developers to create serverless web sites that synchronize with the rest of your software in the cloud. By eliminating the need for custom technical infrastructure, Cloudstitch sites are orders of magnitude faster, cheaper, and easier to build and maintain. Flutterwave is an API for payments across Africa. We provide technology for global merchants, banks, payment service providers to process card and alternative payments methods in local currencies across different African countries.